Scientists hope to explain the weird celestial signals, which some say may be evidence of intelligent aliens. The bizarre, powerful flashes of light known as fast radio bursts (FRBs) may be far more common than astronomers had thought. Throughout the universe, at least one FRB is blasting out intense radio emissions every second, a new study suggests. FRBs were first spotted in 2007, and astronomers have found about two dozen more of the bursts in the decade since then. The flashes appear to originate in distant galaxies, but their cause remains a mystery. 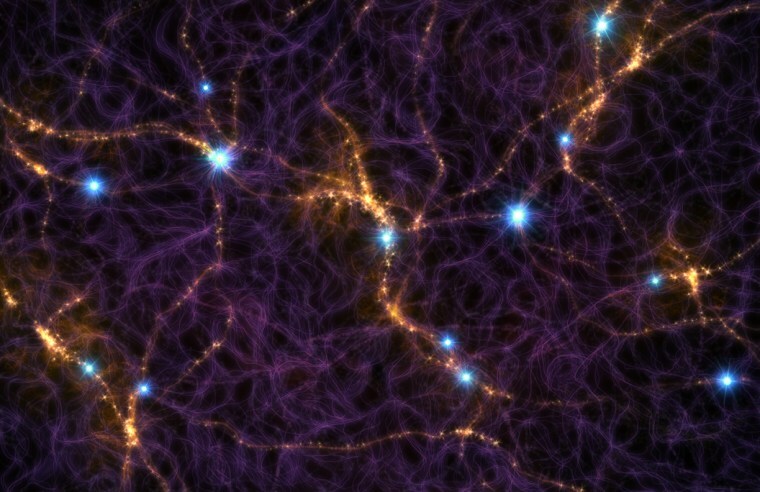 Some astronomers suspect that FRBs are driven by young, fast-spinning neutron stars; other researchers have speculated that FRBs could be generated by intelligent aliens. If other FRBs are like FRB 121102, then the universe should crackle with their light, the duo found. "In the time it takes you to drink a cup of coffee, hundreds of FRBs may have gone off somewhere in the universe," Loeb said in the same statement. "If we can study even a fraction of those well enough, we should be able to unravel their origin." Studying FRBs could also shed light on the universe's evolution, Fialkov and Loeb said. For example, FRBs may help researchers better understand the "reionization" epoch — the time in the early universe when a pervading, light-blocking fog of neutral hydrogen was broken into its constituent electrons and protons. "FRBs are like incredibly powerful flashlights that we think can penetrate this fog and be seen over vast distances," Fialkov said. "This could allow us to study the 'dawn' of the universe in a new way." The new study was published earlier this month in The Astrophysical Journal Letters. You can read it for free at the online preprint site arXiv.org.